[ Lincoln's Inn, London. ] 'Dated the [ blank ] June 1871'. 11pp., folio. On eleven leaves of wove paper. In good condition, lightly aged and worn, the leaves attched with a rusty pin. An unsigned draft, with deletions and emendations throughout, and the date left incomplete at the end. The document begins: 'To all to whom these presents may come I Richard Harington of Lincoln's Inn in the County of Middlesex Esq. Barrister at law send greeting'. [William Ford, Birmingham gun maker.] 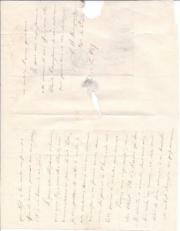 Manuscript letter from the firm to F. Gardner, giving the cost of improving the shooting of his 'little .410'. On letterhead with much text as advertisement. 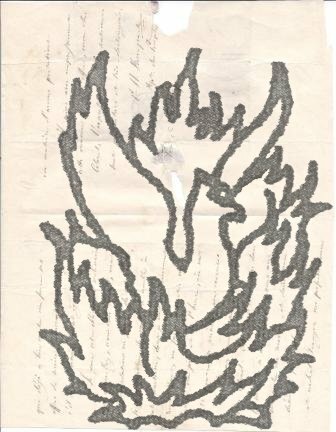 Letterhead of William Ford, Gun Maker, "Eclipse" Works, 15, St. Mary's Row, Birmingham. 21 February 1907. 1p., 8vo. In fair condition, on aged paper with wear to extremities. Addressed to 'F. Gardner Esq | Little Coggeshall | Essex'. The letter is signed 'Wm Ford | Per Pro' and reads: 'Dear Sir | In reply to your kind enquiry the cost to improve the shooting of your little .410 would be about 10/- if a double gun as near as I can tell without seeing it. | Trusting to be favoured with your kind command'. The letterhead contains a mass of text at the head and filling the left-hand margin. Printed on both sides of a 4to (28 x 22.5cm) leaf of semi-opaque paper. Both sides with oval purple stamp of 'J. Blanch & Son, 29, Gracechurch St., London, Gun Makers'. In good condition, on lightly-aged paper, with one dog-eared corner, folded three times. An attractively-produced item, with specifications, and text printed in small type. Engraving of a bullet in top right-hand corner of first page, with the Colt prancing horse at top left, also a small engraving of the rifle, with a larger one, by R. M. Smart, showing how 'To Charge the Magazine'. Autograph Letter Signed ('P-N. Bonaparte.. | Repr. du Peuple'), in French, from Pierre-Napoleon Bonaparte to Lieutenant-Colonel Lherbette, requesting that Samuel Colt be admitted 'aux expériences de tir des carabines à tige des chapeurs à pied'. 12mo, 3 pp. Thirty-six lines. Text clear and complete. Good, on lightly-aged paper. Addressed by Bonaparte, with stamp, red wax seal and postmarks, on reverse of second leaf, to 'Monsieur le Lieutenant-Colonel Lherbette Adt. au comm. de l'artillerie dans la 1re. division militaire | Vincennes'. Were he not leaving for the country, he would have presented in person 'Mr. Colt, citoyen des Etats-Unis, inventeur d'un ingénieux système d'armes à feu à plusieurs coups'. Mimeographed or similar, 74pp., 4to, simple card binding, title label faded, Copy no. . marked SECRET on title. DUP pencilled on title also. [Forewrd] This report is a record of information on German armament activity in Czechoslovakia. The Czech Ministry of Defence has helped in the preparation. Appendix 6 is an alphabetical record of the principal personnel mentioned in the report... Full of infomation about people (inc. Germans) involved durting the War, with a report on Skoda (appendix I, pp.14-22, and an experimental station, pp.29-32, etc. 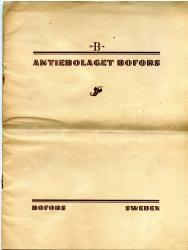 Promotional booklet in English, with photographic illustrations: 'From Industrial Sweden. 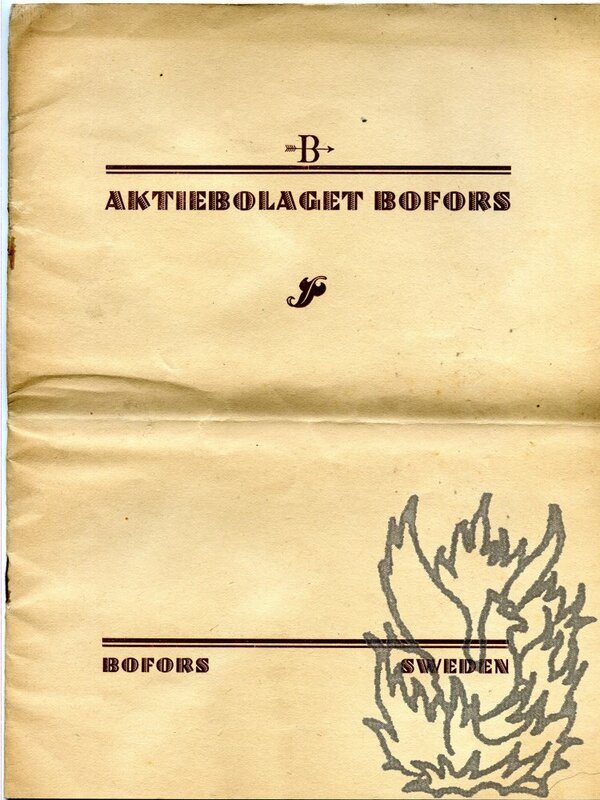 Aktiebolaget Bofors. Bofors, Sweden. 4to (28.5 x 21.5 cm): 8 pp. In original buff printed wraps. Printed on shiny art paper. Text complete and clear. Lightly spotted, with central vertical fold, grubby wraps, rusted staples. Twelve photographs, ranging in size from half- to quarter-page: 'General View of the Bofors Works', 'Erecting shop', 'Fitting shop', '15 cm. Guns', 'Hardening tower', '15 cm. (6 inch.) double gun-carriage M/12', 'Rolling Mill housing, weight 33 tons', 'Runner for water turbine', 'Ore Crusher', 'Exterior of the Bofors Steel Works', 'Screw Automatics' and 'Details'. Invoice and receipt signed in the hand of Thomas Jackson, eminent gunmaker of London, made out to H[enry] Byrne, soldier serving in India.. The invoice, one page, 4to, good condition, lists 16 items, total amount £14.2.0, from "a second hand single gun" for £10 to powder flask (5s 6d), powder, crest on stock etc. The receipt acknowledges payment and is in the hand of Jackson and signed by him. 2 pages, 16mo. Somewhat grubby and creased, and obtrusively docketed in ink, with the phrase 'Sent off | 10th 28' written across the text on the recto. Reads 'Dear Sir, | You hoped to return my book (album) last week but no doubt the holidays interfered. I am just sending a line to say I am leaving Town for the Country for the summer early on Monday next so hope it may be returned this week | Yours sincy | E Lechmere'.